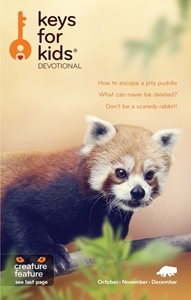 Get the Oct/Nov/Dec issue of Keys for Kids in ebook form with this download. This file is compatible with iBooks, Nook and other readers that use an epub file. This is NOT a physical book. Get the July/Aug/Sep issue of Keys for Kids in ebook form with this download. This file is compatible with iBooks, Nook and other readers that use an epub file. This is NOT a physical book.